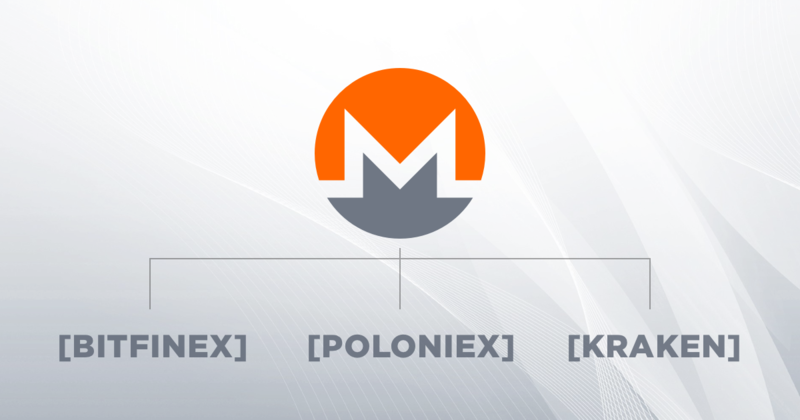 Monero (XMR) is a digital currency that is secure, private, and untraceable. It is based on the CryptoNote protocol and guarantees a high level of privacy. This has lead to the widespread adoption of Monero by those interested high level of anonymity and privacy.. Since its launch in 2014, Monero has grown steadily to become one of the leading cryptocurrencies in existence. At the beginning of 2017, XMR was trading approximately at $10 per coin, ending the year around $350. Monero excellently started 2018 reaching a new all-time high of $412. Monero’s market operates nearly the same like many other cryptocurrencies. You can invest in Monero using any exchange you like, but we’ll dwell on the most relevant ones: Poloniex, Bitfinex, and Kraken. Poloniex was the first of these exchanges to support the currency, listing eight separate currency pairs in July 2014: BCN/XMR, DIEM/XMR, DRK/XMR, IFC/XMR, LTC/XMR, MAID/XMR, NXT/XMR, and QORA/XMR. Based in the United States, Poloniex is a leading digital asset exchange offering a wide variety of digital assets. Withdrawal fees are equal to zero while trading fees range between 0.0 – 0.25%. Unfortunately, there’s no fiat currency trading, but instead, margin trading in altcoins is available. Bitfinex, known as the largest bitcoin exchange by BTC/USD, listed XMR/USD and XMR/BTC trading pairs in November 2016, opening deposits and withdrawals of Monero. Bitfinex has quite a complicated main trading interface, so it’s probably more suitable for experienced traders. The exchange provides a full package of order types, margin trading and lending market in addition to low trading fees (0-0,2%). If you live in Europe, Kraken is the best choice, as it’s the largest Bitcoin exchange in euro in terms of volume and liquidity, also trading Canadian dollars, US dollars, British pounds and Japanese yen. Kraken started offering Monero trading in January 2017, listing currency pairs XMR/USD, XMR/EUR, and XMR/XBT. Kraken even compliments Monero by writing on its blog that XMR “trades with high volume and liquidity“. The exchange offers excellent liquidity in EUR markets and supports margin trading. In spite of relatively low trading fees, Kraken often has uptime problems when the market gets hot. See the full list of exchanges here.